Town-wide Yard Sale Official List will be kept posted here for easy access until after the event. TOTAL ADDRESSES: 25 as of April 20. For more information click on the Yard Sale Tab at the top of this home page. Or tell them to go to our web site: WWW.Blogfinger.net And then click on the Yard Sale tab at the top of the home page. If you are a Grover who wants to participate, please email us with your address and, later, with your list of items: Blogfinger@verizon.net. 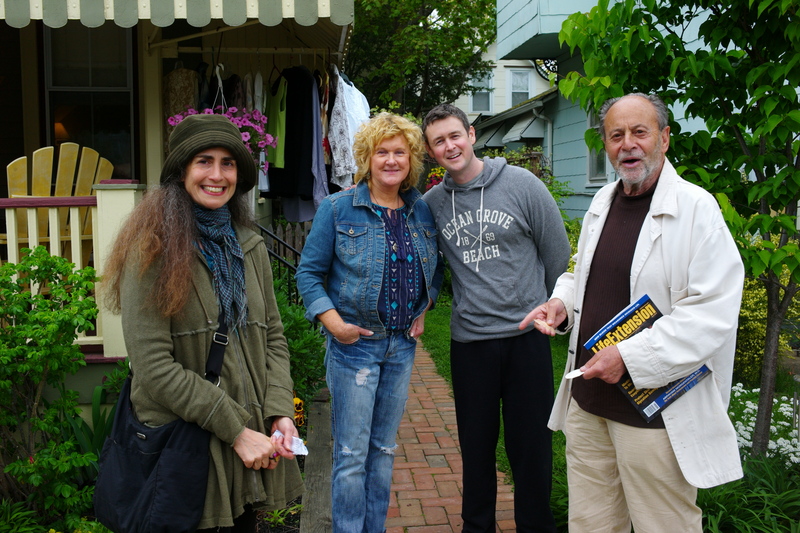 Get your neighbors to join in, grouping of addresses draws shoppers. ATTENTION YARD SAILORS ( IE SELLERS:) You can help us help you by thinking of places to post our flyers (as above). 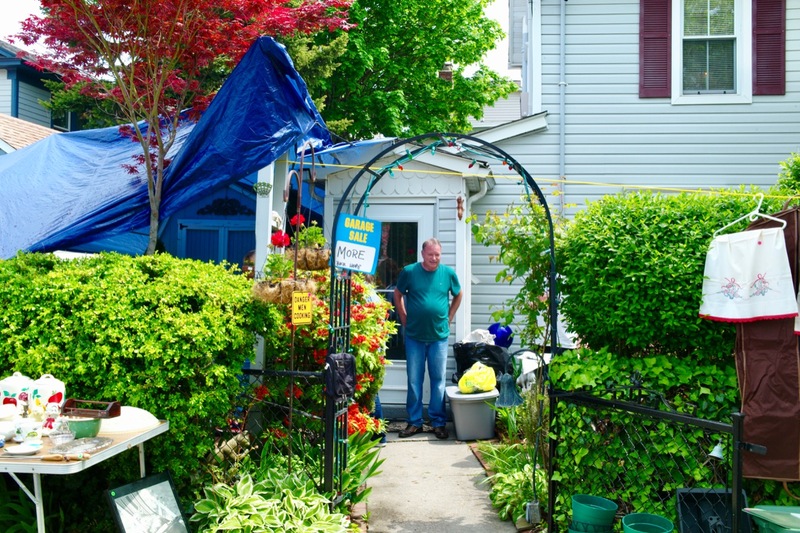 You cannot attach them to a telephone poll, but perhaps you have a clubhouse, a church, a convenience store, or whatever to attract visitors to OG for the Sale and also to remind potential sellers that they might consider participating. Also you can distribute flyers via your email to a list or to friends, neighbors, etc. And you can also post our flyer on your social media sites.-–Thank you. Objects for sale will be revealed here during the week prior to the sale. 102 Mt. Tabor Way, at NJ Ave.
123 Mount Tabor Way (several sellers at this location) near Delaware Ave.
We have begun our list of addresses. If you are planning to participate, please send us your address now, because others will be encouraged to do the same. But, you can send us your address up to and including May 10. You can always email us to remove your address if needed, and your list of items for sale can be sent to us whenever you are ready. Contact us at Blogfinger@verizon.net. The list can be viewed by clicking on the page at the top. You will need a $5.00 permit obtainable at Town Hall. We would like bragging rights at the shore by having many participants, and the more we get, the more buyers will show up. It is time to think about checking your “stuff”to sell in May. Make it part of your spring clean-up. We will be posting all participating addresses and the items for sale. We will ask you to email us starting in March. Watch for our reminders. We can use some volunteers to photograph the event, monitor the sites that day, pass out flyers, report on the sale for Blogfinger, and offer suggestions and help with promotions. Sponsor wanted to run the 7th Annual Town-wide Yard Sale on May 12, 2018. 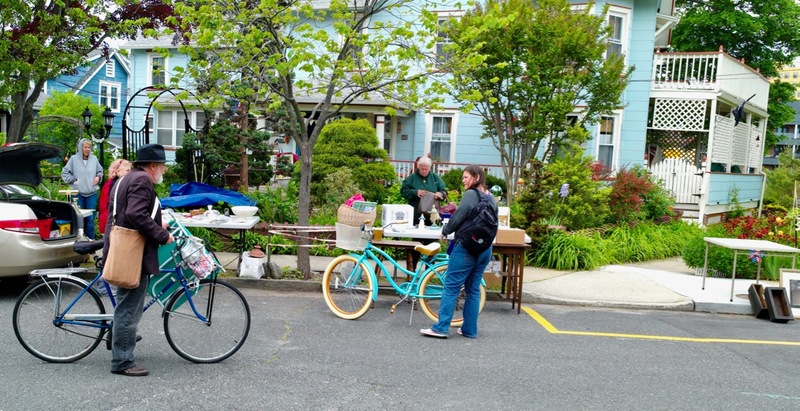 6th Annual Town-Wide Yard Sale in Ocean Grove. Asbury Avenue. 5/20/17./ Paul Goldfinger photo. © Click to enlarge. 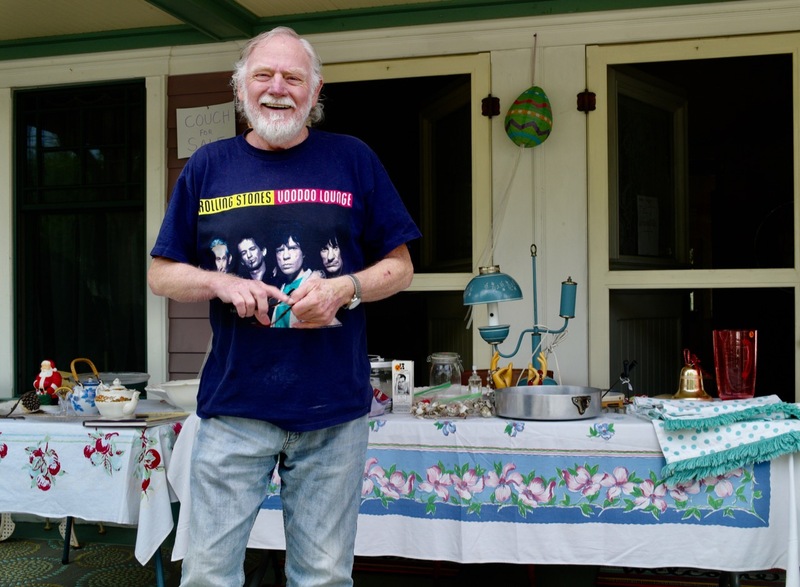 This is not the first time that the residential community, represented by Blogfinger, is seeking an organization in town to sponsor the Annual Town-Wide Yard Sale, a successful event, and to bring it to a higher level. It is always held on the Saturday of the Mother’s Day weekend. This year will be the 7th Annual TWYS–on Saturday May 12, 2018. 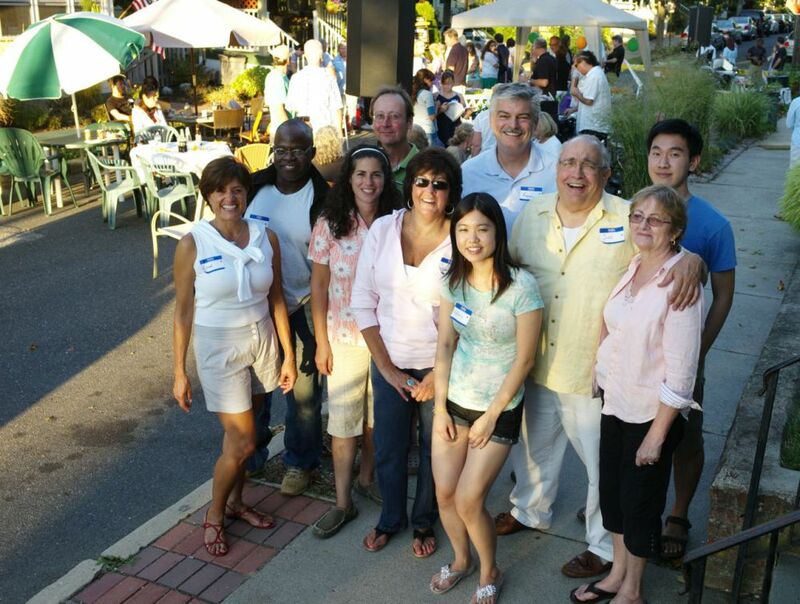 Events run for the community of residents are not that common in Ocean Grove. This would be a fine gesture on the part of some group to recognize that attention should be paid to those who actually live here. All the groups in town, including the Home Owners, OG United, and the Chamber have their own narrow agendas. Any of those groups would benefit in terms of PR and good will if they were to take on this popular happening. The Chamber once said that they opposed the Town-wide sale because it was “bad for business.” Here’s a chance for them to reverse that dubious assessment . The first one which volunteers gets the gig. Or a group of civic minded Grovers could take it on under the banner of the Community of Residents (OG). 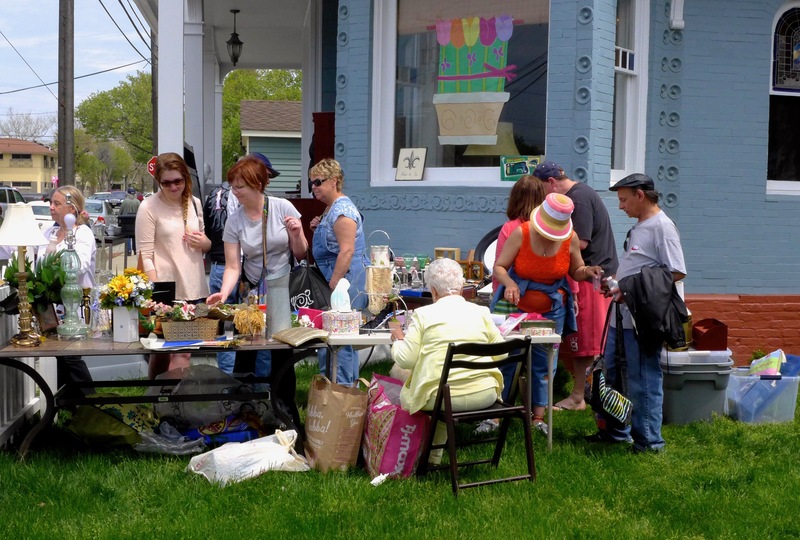 If there is any group that wants to take a leadership position for the Town-Wide Yard Sale, please contact me at Blogfinger@verizon.net. I will continue doing the online list of participants and providing advertising online. And we will give laudatory publicity to whoever takes over. A leadership sponsor would deal with promoting the event, offering guidance to participants, advertising, fliers, fund raising as needed, and any other innovative ideas that they might have. 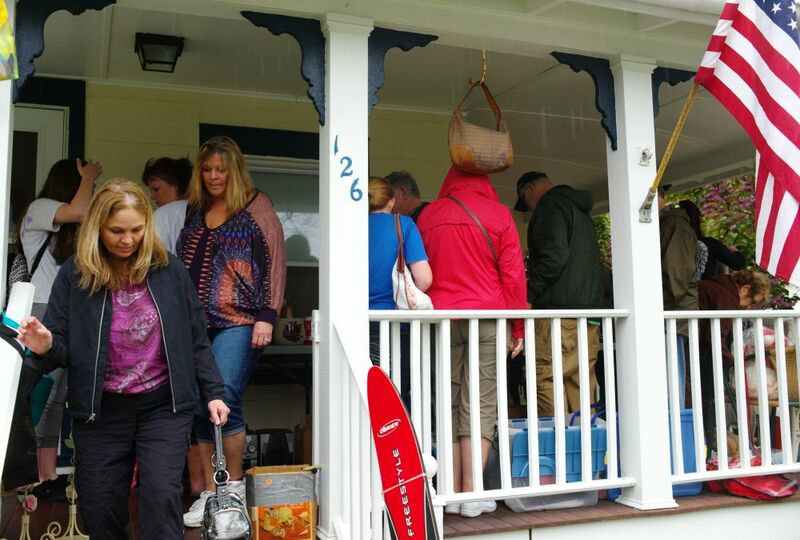 6th Annual Blogfinger Town-Wide Yard Sale Will Be Held on Saturday, May 13, Rain or Shine. Many thanks to Andrew Gioulis of KFR Communications for designing and updating our flier. 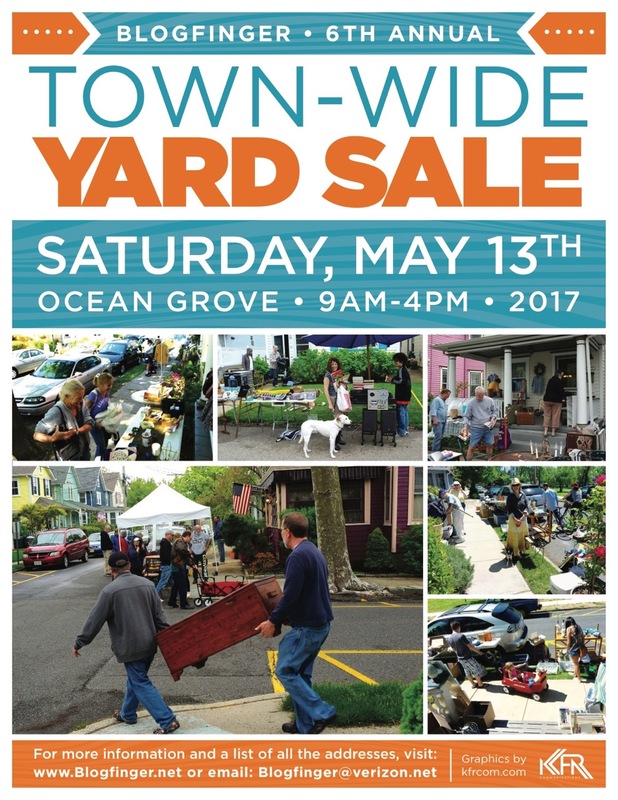 Blogfinger is pleased to announce that the Town-Wide Yard sale tradition in Ocean Grove will continue on the Saturday of the Mothers Day weekend (May 13, 2017). We have a Grover volunteer who has stepped to the plate to help. His name is Vincent Cannavo and he will be the manager for the event, working with the Blogfinger staff. Please contact us if you have ideas or wish to volunteer in some capacity. For example, we will need a photographer that day and someone to work on a map to be posted and distributed. We will operate the sale in the same way as before, maintaining an on-line list for interested folks to reference. We will promote the event including advertising. More details will be forthcoming next week, but meanwhile start planning your sale. Eileen and I will be participating (practicing what we preach.) Contact information for Vincent will be posted shortly. Fliers will be distributed starting next week. 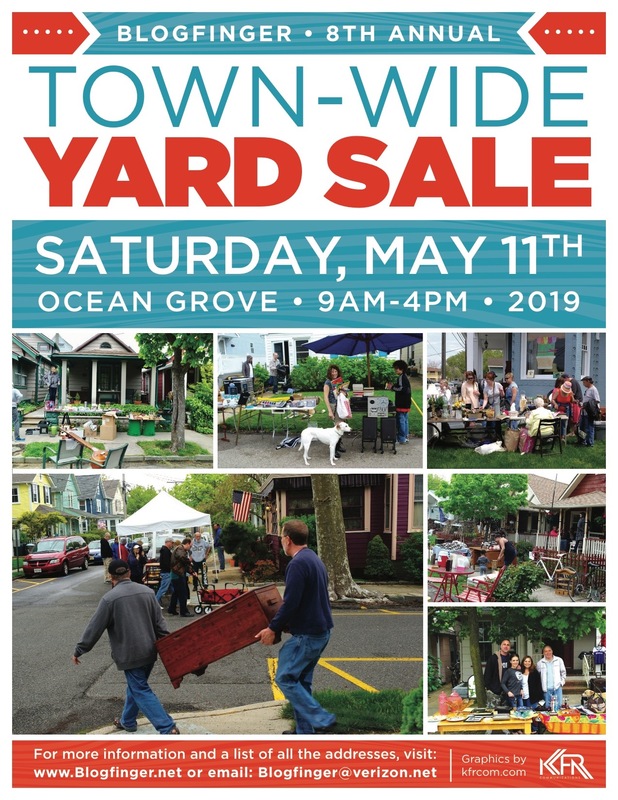 So yard sailors, welcome aboard, mark your calendars, and dig out your favorite junk. It pays to advertise. 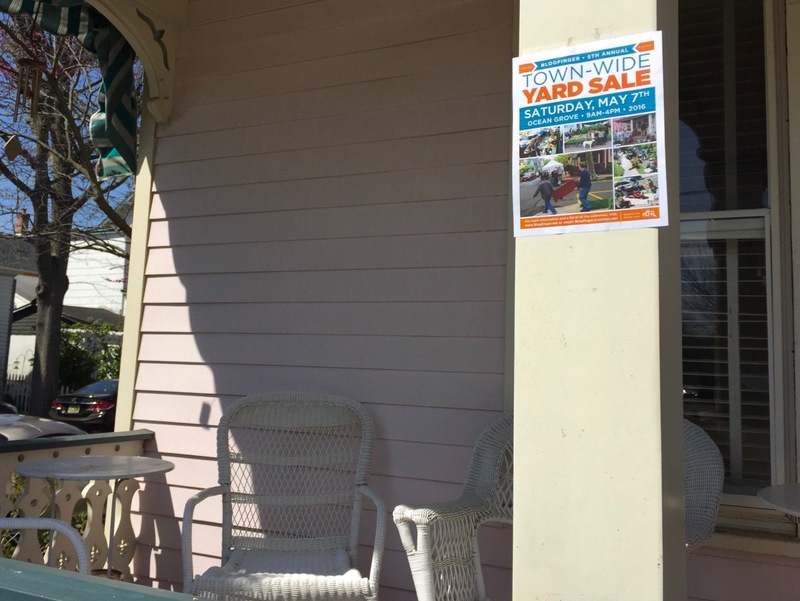 Help us promote the town-wide yard sale. If you are willing to post a flier, or if you know a merchant or some other location (eg a church bulletin board) please pick up a flier at GINGERBREADS, 49 Main Avenue; see Terri Lepore. Thank you, the Management. Updated Town-wide Yard Sale poster. Mark your calendar and find some stuff. In April we will begin collecting names, addresses, cross streets and items for sale. Watch for more information. These posters will be available in April. They will make nice souvenirs to hang in your OG home. We will sell them to defray the costs of printing and advertising. Many thanks to Andrew Gioulis of KFRCommunications.com.